Address : Ohio Historical Center, 1982 Velma Ave. This nine foot tall sculpture was created by Bruce Wilder Saville (1893 - 1938), depicting a WWI soldier returning home from vic­tory. He holds his rifle and a German soldier's helmet. 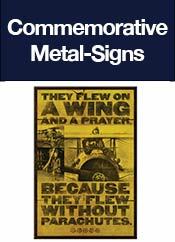 It was dedi­cated on April 6, 1926, and was part of the War Memorial Wing of the old State Museum on the Ohio State University campus. It was moved in August of 1970 to the top of the dome of the Ohio His­torical Center, and in 1991 was moved to the center's entrance. 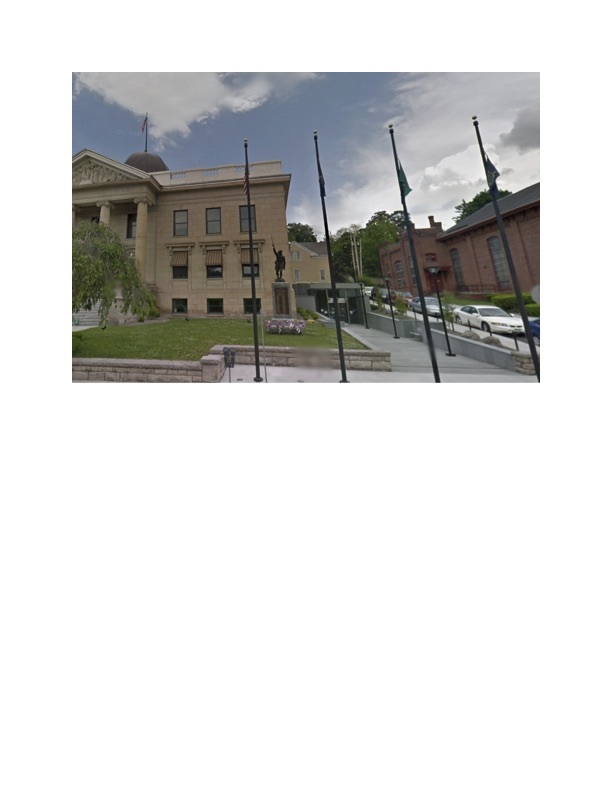 "War Dead of Swain County"
Address : Former Swain County Courthouse, Main and Everett Sts. 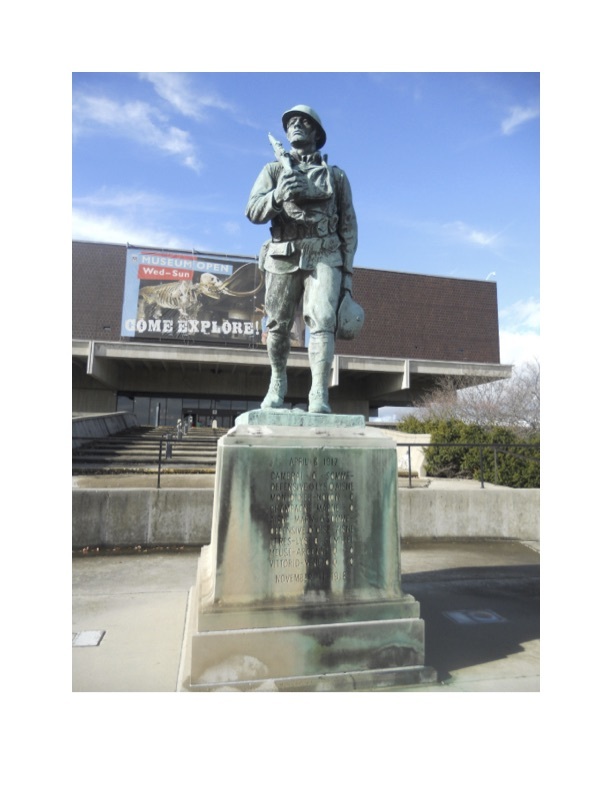 This is a tall limestone WWII soldier, wearing a helmet, pants tucked into boots, and a uniform shirt and belt. Over his right shoul­der is slung a rifle. 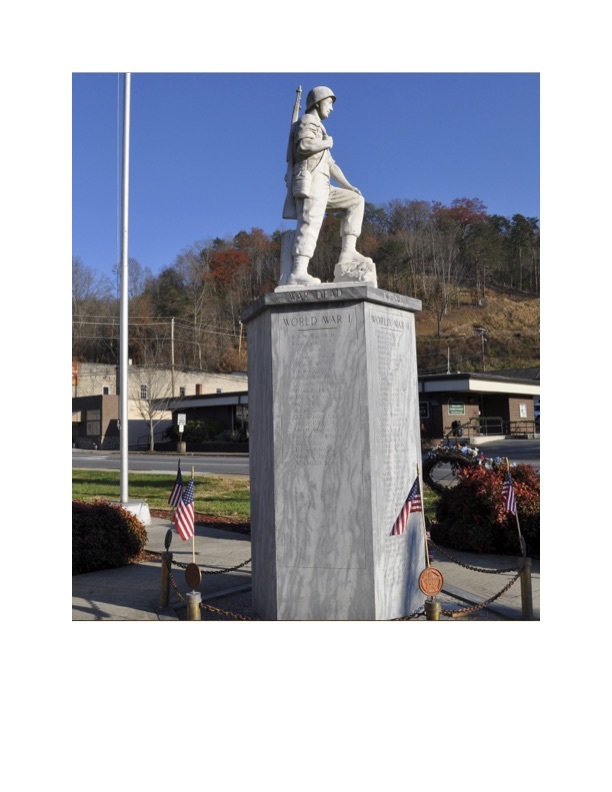 It is dedicated to the war dead from Swain County in WWI, WWII, and the Korean and Vietnam Wars. Their names are incised on the marble base. This memorial monument is dedicated to the fallen servicemembers of Flathead County from the Spanish-American War to the present day. 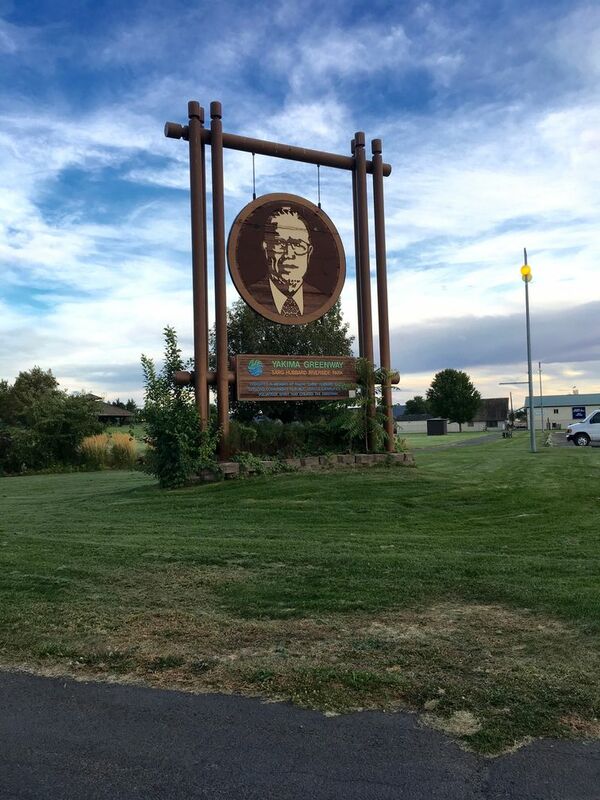 It is located near the old Kalispell railroad depot, in what is now called Depot Park. 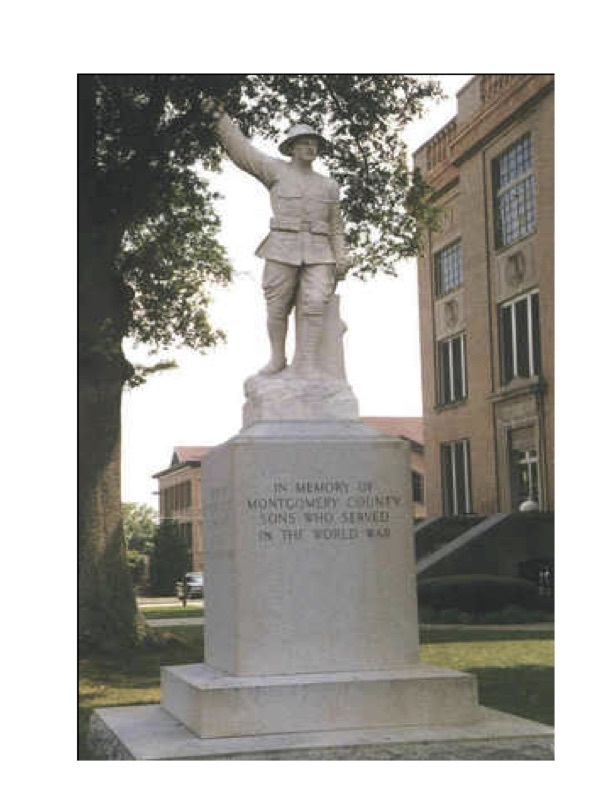 Address : Montgomery County Courthouse Square 108 E. Main St.
A five foot tall white marble statue of a WWI soldier is dressed in a waist-length jacket, helmet, boots and britches. His right arm is raised in the air and he holds a rifle in his left. 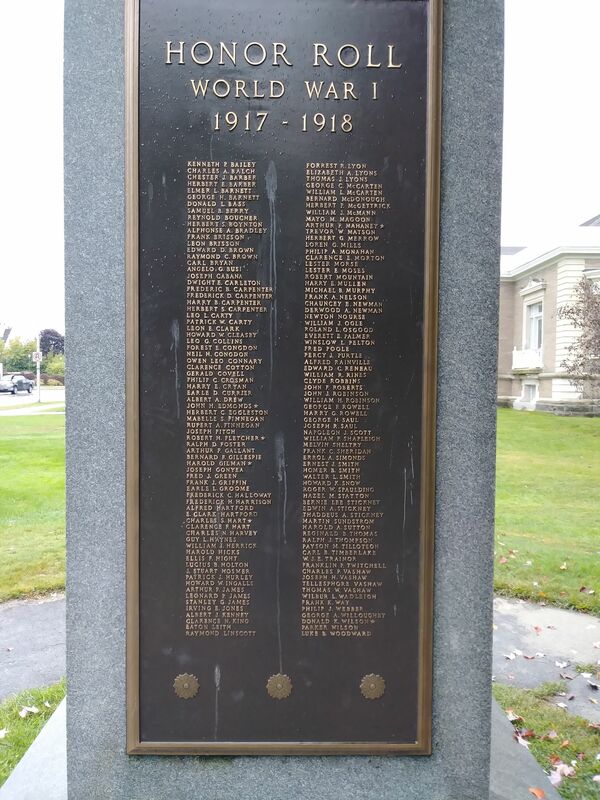 It was dedicated in about 1926 to honor the Montgomery County men who served in the Spanish-American War and WWI. 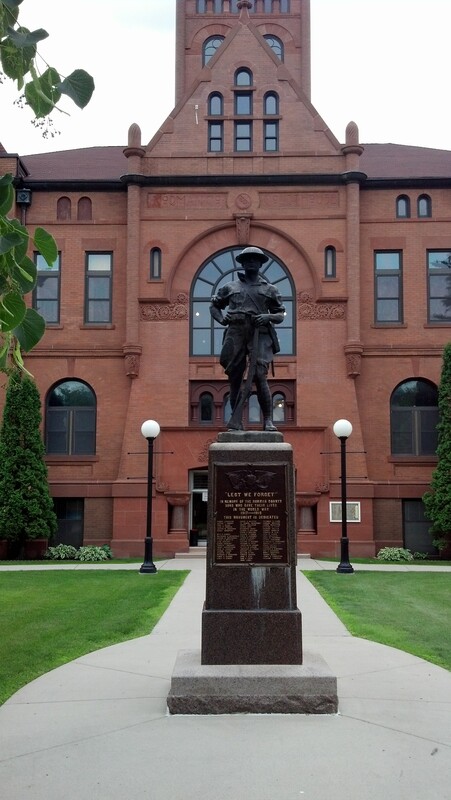 Address : Green County Courthouse, 320 Main St.
A bronze WWI soldier is running over rocks and barbed wire, with his rifle held in the air in his right hand. He wears a helmet and has a knapsack on his back. Beneath is a square granite base with a plaque dedicated to the men who served in the Tenth New York In­fantry during WWI. 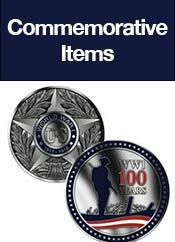 The 102nd Infantry Regiment Memorial, 26th Yankee Division just celebrated their 100th anniversary on September 9th. 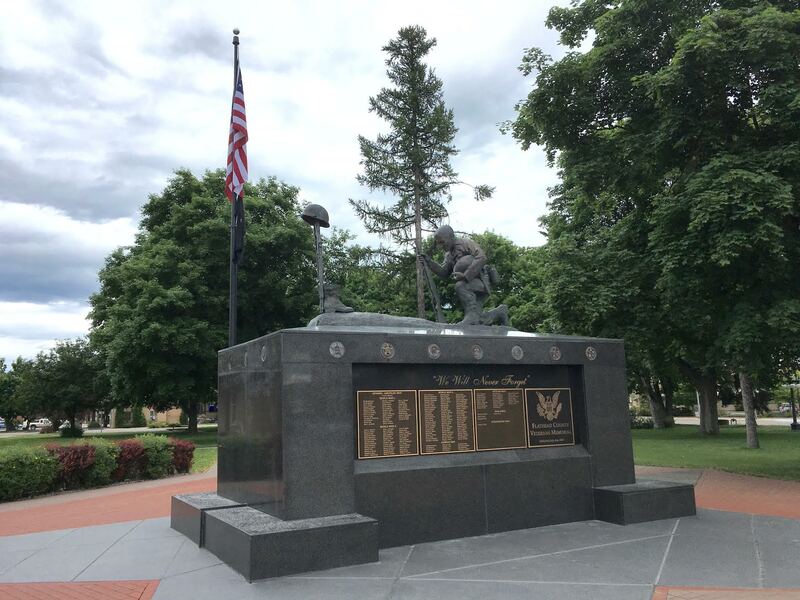 The memorial was constructed August 9, 1942 by the New Haven Chapter Yankee Division Veterans Association. The regiment is where the New Haven Grays were formed. Today the memorial continues to serve as an active National Guard Reserve Unit. 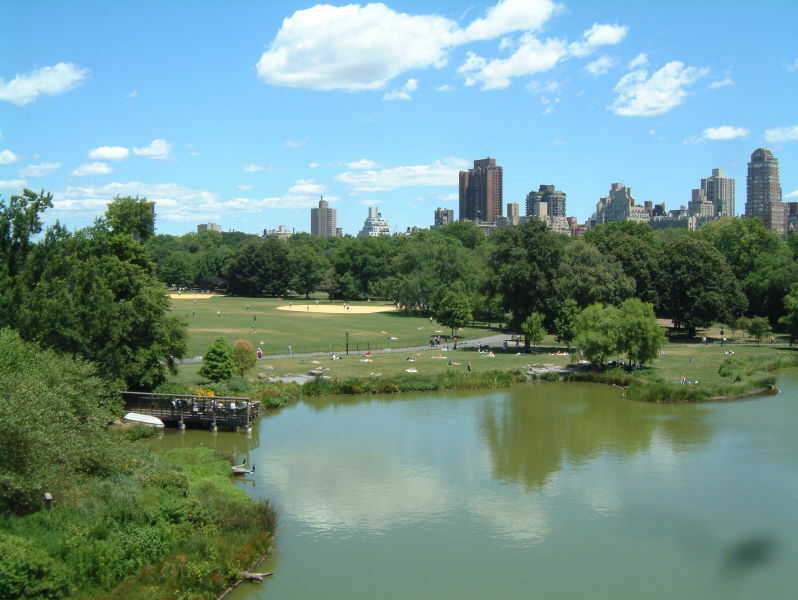 Address : Central Park, 5th Ave. and 67th St. This bronze sculpture nearly 10 X 15 X 5 feet in size, depicts seven soldiers charging the front lines during WWI. The three cen­tral ones attack with bayonets while the others are wounded and slump. They are arranged as in a pyramid, and beneath is a stepped granite base. 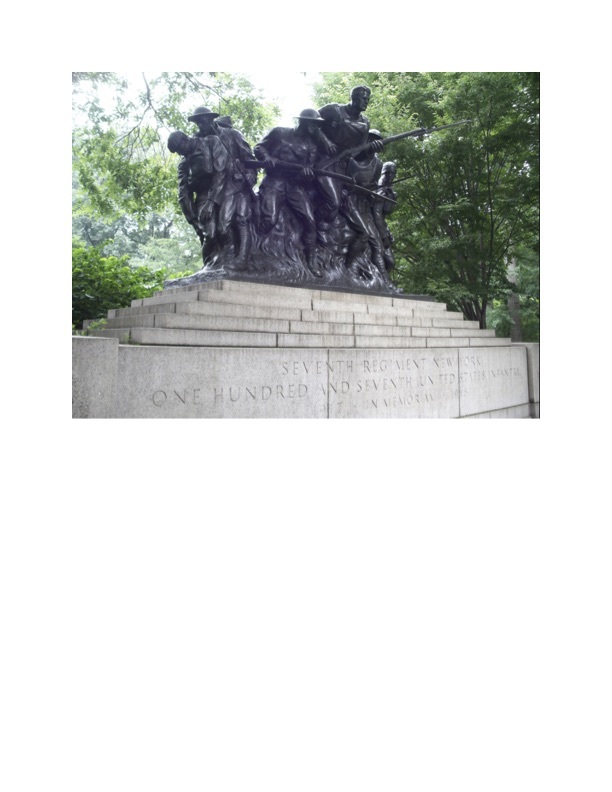 It was sculpted by Karl Illava (1896-1954) and dedicated on 66th St. on September 29,1927, to honor the members of this in­fantry regiment who served in WWI. It was moved to its present site after WWII. Description: Dedicated to: The Oldest Malitia Unit In Texas.Serving in all wars of the United States, from The Texas Revolution To World War II. The 141st fought in the Meuse Argonne Campaign in WWI. 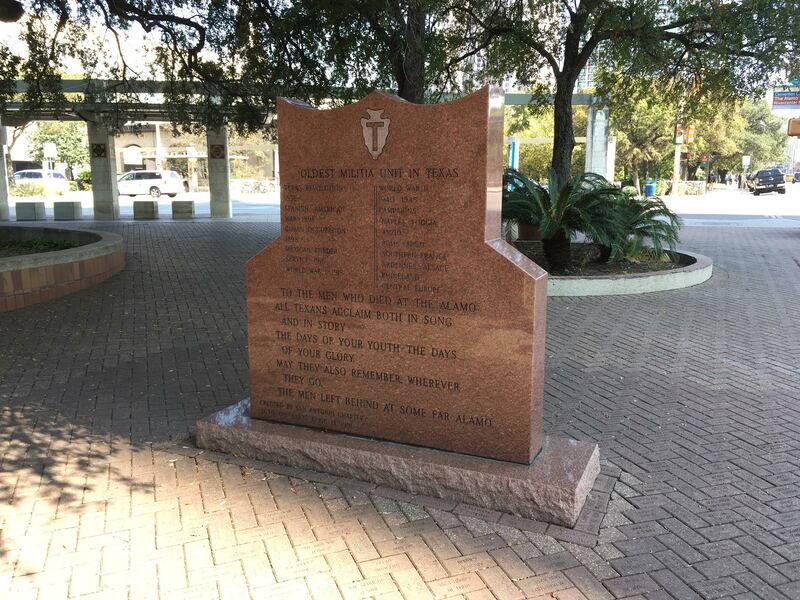 The Monument is located in the 36th Infantry Division Plaza and was erected in 1991 by the San Antonio Chapter of the 36th Division Association.at the intersection of E. Market Street and Losoya St./Alamo St. It is on the street just above San Antonio’s world famous River Walk. The monument is also about two blocks from the famous Schilo’s Delicatessen, a San Antonio landmark since 1917. 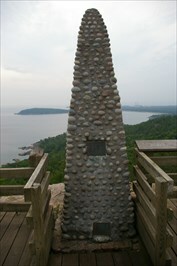 Description : Erected by the Mortimer H. Jordan Chapter of the Rainbow Division Association. The American Legion Harvey W. Seeds Post No. 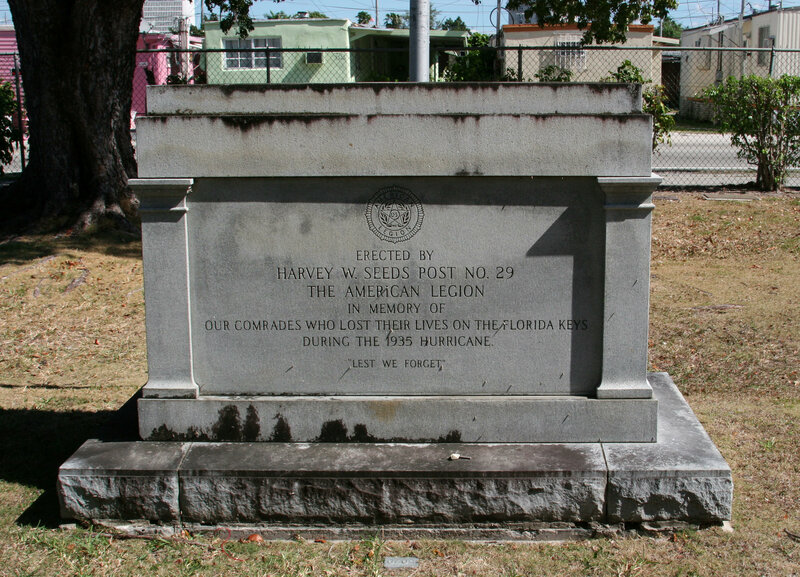 29 erected this memorial to the World War veterans who died in the 1935 Labor Day hurricane. 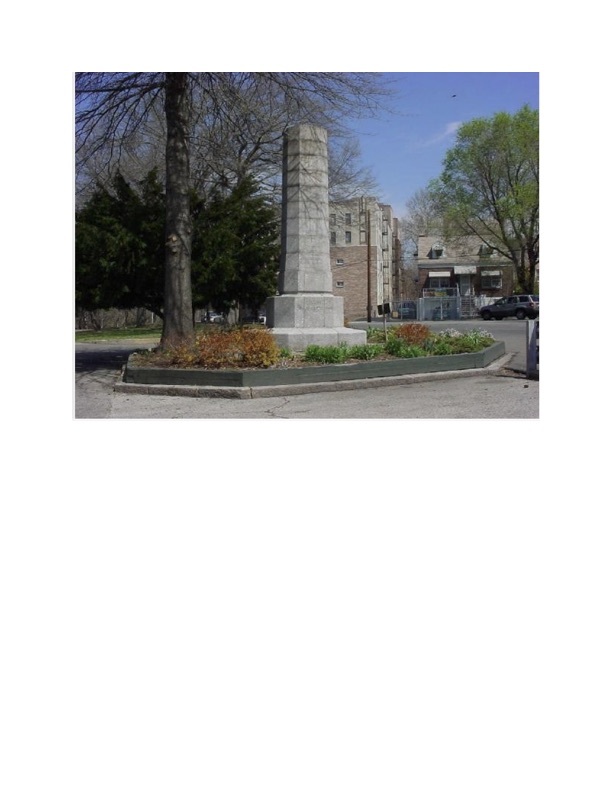 It is located in Section 2A of Woodlawn Park North Cemetery. 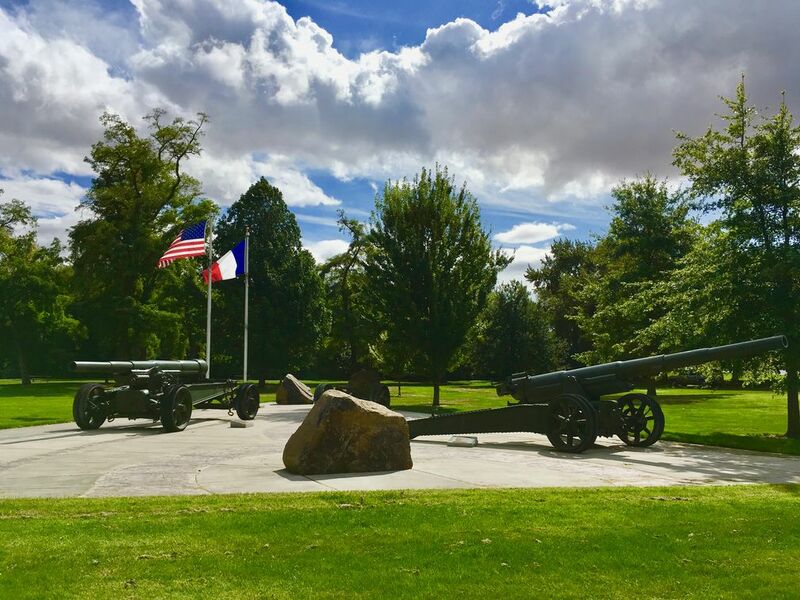 The memorial sits atop a mass grave of five parallel trenches, originally containing 90 identified bodies (81 veterans, 9 civilians) and 19 unidentified bodies; 109 altogether. Four veterans were later exhumed. 70 of the remaining veteran graves are marked, most since 2015. The burial with full military honors took place on September 8, 1935. The Merci Train was a train of 49 French railroad box cars filled with tens of thousands of gifts of gratitude from at least that many individual French citizens. They were showing their appreciation for the more than 700 American box cars of relief goods sent to them by (primarily) individual Americans in 1948. The Merci Train arrived in New York harbor on February 3rd, 1949 and each of the 48 American states at that time received one of the gift-laden box cars. The 49th box car was shared by Washington D.C. and the Territory of Hawaii. Parades and ceremonies of welcome were conducted in the state capitols and major cities of almost all the states. The 40/8 designation refers to the fact that during World War 1, each box car could handle either 40 soldiers or 8 horses as troops, horses and supplies were shipped to the front lines. five Sons of Lancaster who “Made The Supreme Sacrifice” in defense of our liberty. Those five lost son’s names are followed by a star. Library and the Coos County Superior Court. Inside the 5th Regiment Armory in Baltimore is a Maryland Museum of Military History. 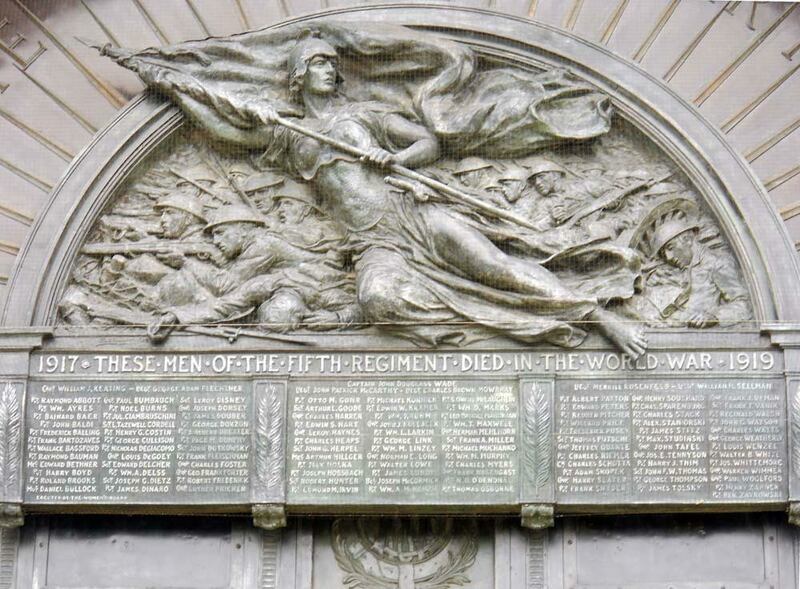 Although the armory is usually closed to visitors, the building's facade is home to a number of WW1 memorials. This 75mm field gun is a modification of a French gun that was designed in 1917. The 75mm was the most effective light field gun in W.W.I. 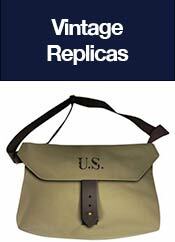 It was also used against infantry, tanks, and other armored targets in W.W.II. This gun is 17'-3" long, and weights 3,400lbs. Its range was 13,870 yards, and fired 6 rounds per minute. The 75mm shell weighed 19lbs., and could be fixed, high-explosive, chemical, smoke, or armor-piercing. The 105mm has now replaced the 75mm gun as the light artillery weapon. Address : Bronx Blvd. and 219th St. This 19 foot tall monument was designed by architect Charles W. Stoughton (1871-1945) and installed here in 1924, as a memorial to the veterans of WWI. 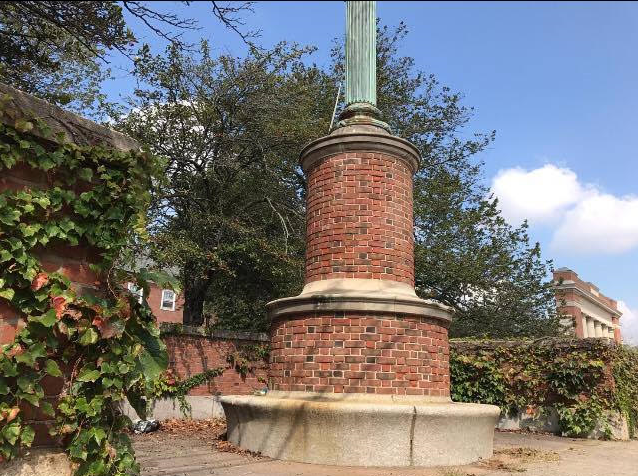 This obelisk monument is dedicated to the memory of the mem­bers of the 82nd in WWI, WWII, the Vietnam and Persian Gulf Wars, and actions in the Dominican Republic, Grenada, and Panama. 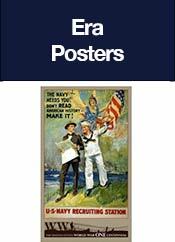 9th Infantry Division/"The Old Reliables"
Address : Camp Sheridan site, 3 Johnson Ave.
"The 9th Infantry Division was organized on 18 July 1918 at Camp Sheridan for service in World War I. 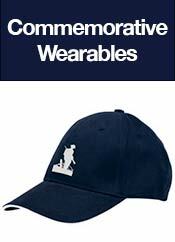 When the War ended, 11 November 1918, deployment of the Division to France was canceled and it was demobilized of 15 February 1919." -Alabama Historical Association marker, 1993. 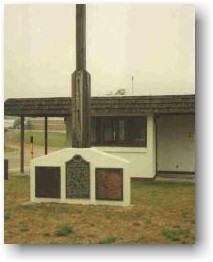 "I've attached the pic associated with the World War One Memorial at Ada, Minnesota. Since it's dedication (date unknown) other sides of the base have had plaques added listing the fatalities from World War II, Korea, and Vietnam." 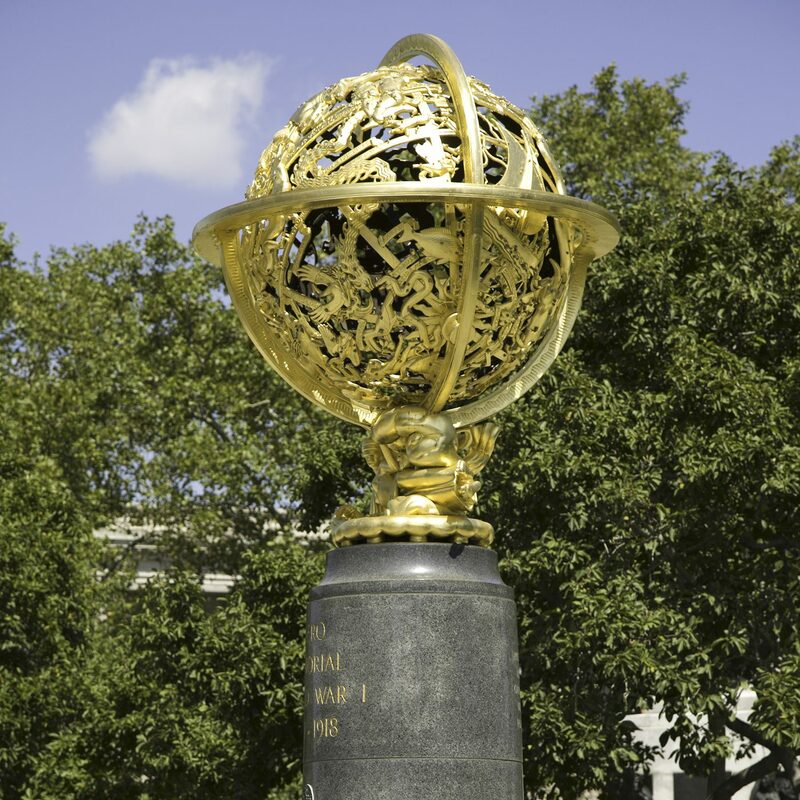 This bronze "celestial sphere" is dedicated to the aviators who died during World War 1. It also illustrates the signs of the zodiac and is inscribed with the Latin names of the constellations and planets. The sculpture is located opposite the main entrance of the Franklin Institute.